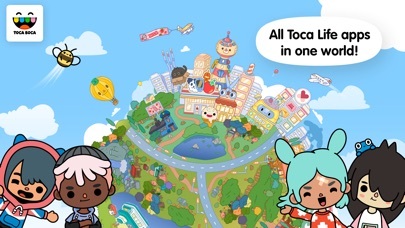 Toca Life Theme Park: - Mascot costumes for characters - Rides (duh), like a roller coaster with different speeds, bumper cars that you can control, etc. - Different food stands around the park. - Ticket booth to buy entrance tickets. 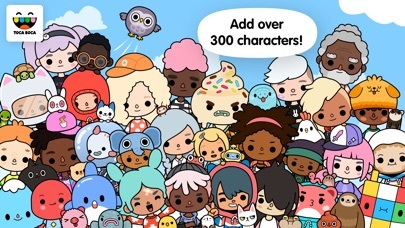 the Toca Life Zoo: - Different animal pens themed around a location. (africa location with lions and gazelle, arctic location with seals and penguins, etc) - Open safari location with a jeep that takes you through a big exhibit - A backstage animal hospital where you can give checkups to the animals, receive new animals for exhibits, help animals give birth. 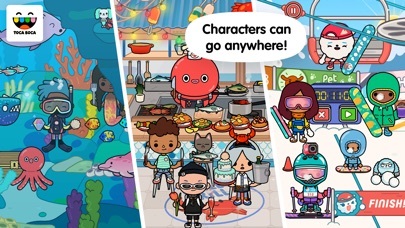 Toca Life Waterpark: - Different pools. A lazy river, kiddiepools, splash pad. - Waterslides! Twisty turny, straight and narrow, etc. - Diving board - Shower room to wash off after a day of fun. I love this game but I have a idea. My idea is that Toca World should have a dentist. Another idea is a mansion. 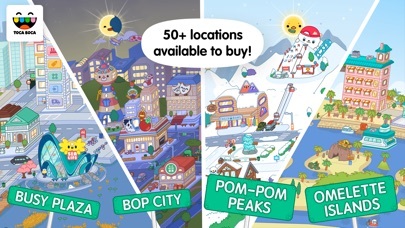 Toca bodacious should have a really big mall with shoes. Toca world should have a backyard with a pool. I love all the toca boca’s but you need a toca boca wedding because people that I know including me love to do wedding’s in toca boca and I love dresses.thank you if you make this toca boca. Needs to make a wedding game!!!!! I really like this game. It’s just a few things that I would like to have: a zoo. 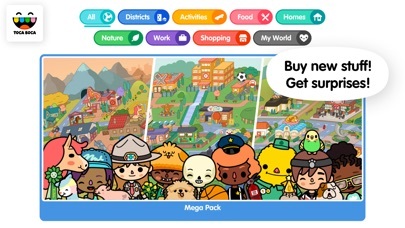 I love all of the animals and pets in this game and it would be really cool to get another job/place to go. Next, we need more restaurants! There aren’t very many. I know that they have the little fast food stands, but I would like a few more real sit-down type restaurants. I would also loooovvvvveeee a cat cafe or a restaurant for pets! I also think that we should be able to have pets and the little dog things(?) on our side walk so that we can take them without putting them in someone’s arms.